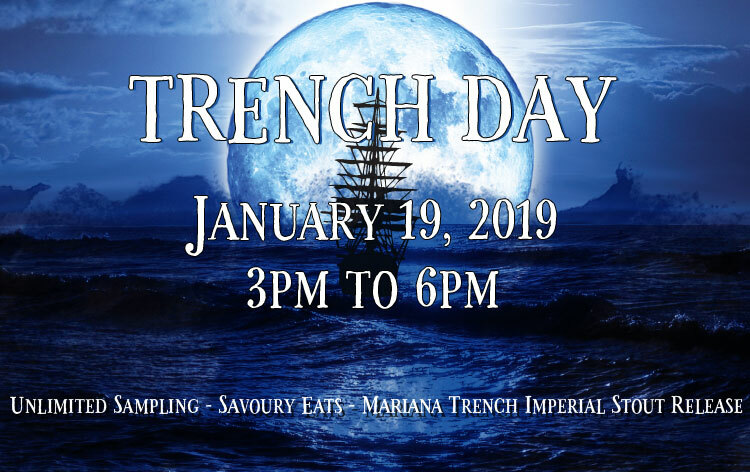 Trench Day 2019 – Due South Brewing Co.
Join us for our annual Trench Day on January 19th from 3 p.m. to 6 p.m., an intimate beer festival held every year in January to celebrate the release of our Mariana Trench® Imperial Stout. This 10% alcohol by volume stout is brewed with cocoa and vanilla to round out the heft of dark roasted malts used to craft this award-winning beer. 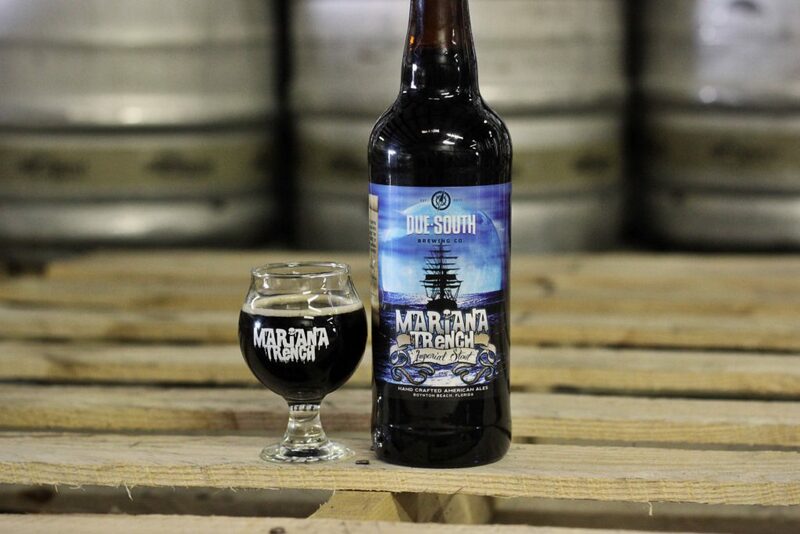 Mariana Trench won Gold in the Imperial Stout category at the 2014 Best Florida Beer Competition, BeerAdvocate magazine said “Mariana Trench holds our taste buds firm and slaps them around with roasted lushness,” and the Palm Beach Post declared it the Beer of the Year in 2015. Never been to Trench Day? 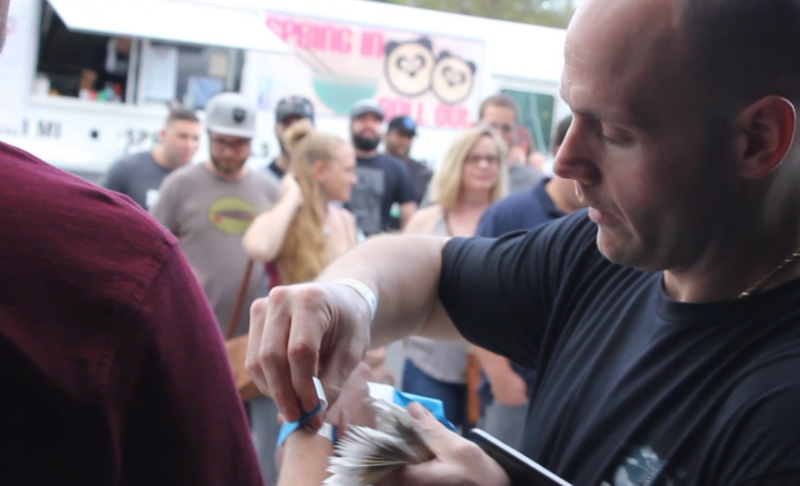 Check out this review of last year’s event from BrewNymph. Or this review of the 2017 Trench Day from The Atlantic Current. During the three hour event, guests will be able to sample over 30 different beers; from the return of beers we haven’t brewed in years, to new beers that may never see a draft line again. In addition, attendees will receive a 22oz bottle of Mariana Trench® Imperial Stout, and be first to access limited bottle runs of Java Mariana Trench Imperial Stout, and bottles of a Oaked Mariana Trench Imperial Stout. Only 300 tickets will be available for this intimate beer event. Tickets allow access to unlimited sampling of all beers poured on site from 3 p.m. to 6 p.m.
Savoury Eats Kitchen will be serving up delicious food for attendees, available a la carte. This is a 21 and older event. No one under the age of 21 will be allowed to enter. No pets, sorry fido! Download your own printable taplist here. We will be creating over 30 different beers for Trench Day, including the return of some crowd favorites and the creation of brand new beers that you’ll be able to taste for the first time. This list is not comprehensive and is subject to change. A complete list will be finalized a couple of weeks before Trench Day. Ticket prices do not include tax. No refunds. Only 300 tickets will be sold. Sales will end when we reach that number. Online sales will end at 11 p.m. EST on January 18th, 2019. You will be required to show your ticket at the door to be scanned in and wristbanded. Do not share your barcode, they will only work once. Only valid tickets will be admitted. November 27th at 5 p.m. EST through December 2nd at 11 p.m. EST. Receive access to our three hour festival including unlimited sampling and a 22oz bottle of Mariana Trench Imperial Stout (value $15). Tickets are available on a first come, first served basis. Use the provided promo code to access these tickets. Name on the ticket order must match a registered Club member or will be refunded. December 3rd through 31st.Receive access to our three hour festival including unlimited sampling and a bottle of Mariana Trench Imperial Stout. Tickets are available on a first come, first served basis. Receive access to our three hour festival including unlimited sampling and a 22oz bottle of Mariana Trench Imperial Stout (value $15). Tickets are available on a first come, first served basis. January 19th, on site ticket sales only.Receive access to our three hour festival including unlimited sampling and a 22oz bottle of Mariana Trench Imperial Stout (value $15). Tickets are available on a first come, first served basis. Every attendee will receive a bottle of 2019 Mariana Trench Imperial Stout, included in their ticket price. Additional bottles will be available on a first come, first served basis. We will have three different bottles available for purchase. Our award-winning imperial stout made with vanilla and cacao nibs. Our award-winning imperial stout made with vanilla and cacao nibs, aged on coffee. Our award-winning imperial stout made with vanilla and cacao nibs, aged on American oak. Entrance to the festival, which includes unlimited pours of all beers on site for 3 hours, a bottle of 2019 Mariana Trench Imperial Stout, and a commemorative Mariana Trench® snifter glass. Savoury Eats Kitchen will be on site with a concise menu of seasonal dishes available for purchase. 2019 Mariana Trench® Imperial Stout (stout with cocoa and vanilla), 2019 Oaked Mariana Trench Imperial Stout, and 2019 Java Mariana Trench Imperial Stout. All will be in 22oz ‘bomber’ style bottles. Will the taproom be open before or after the event? No, due to set up and logistics, our brewery taproom will only be open to ticket holders between 3 p.m. and 6 p.m. The taproom will be closed before and after. We will resume normal taproom hours beginning at noon on Sunday, January 20. Can I bring my child to Trench Day? Trench Day will be strictly a 21+ event. We will ID everyone who comes through the door. You must be 21 or older and have a ticket to gain entrance to the brewery during Trench Day. Please do not bring any pets to Trench Day. Only bonafide Service Animals as recognized by the United States Department of Justice’s American With Disabilities Act will be allowed. and can be reached at 561-737-4600. 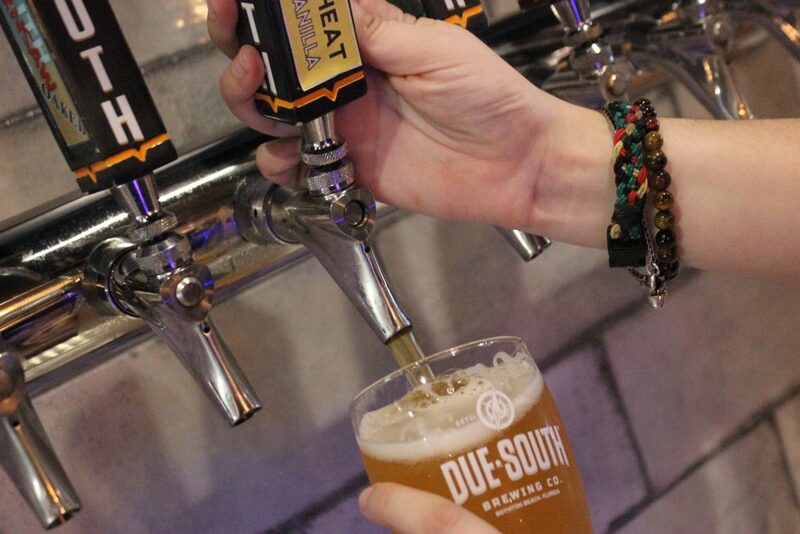 Ask for the ‘Due South Rate’ and get 10% off your stay.